A logic path in Focusky presentation gives you a fresh experience. During editing, it is easy to delete the repeated path of the same object for better presentation. Focusky presentation provides engaging zooming and panning experience. The clear and amazing path would guide your readers step by step to follow your thought. But when you add the repeated path of the same object by accident, you can delete it with simple clicks. Following are two easy ways provided for you. Below video gives you tips to delete a repeated path. 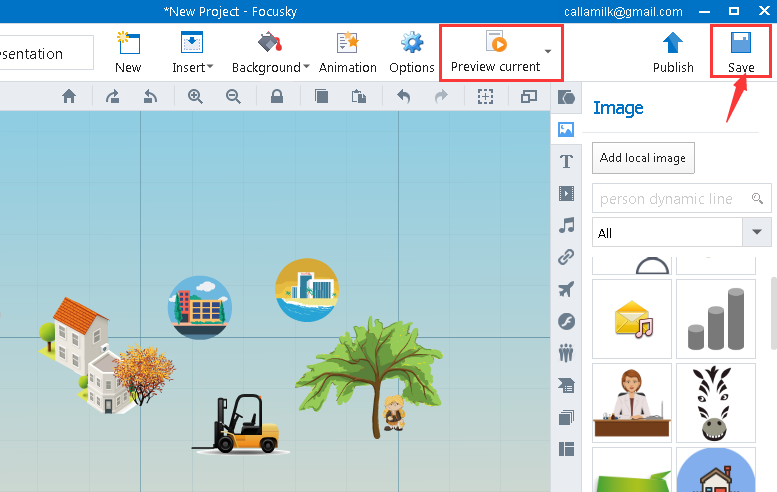 Click the "Cross" icon at the top-right corner of your path can easily delete a repeated path of your object, then you can save and preview your editing. 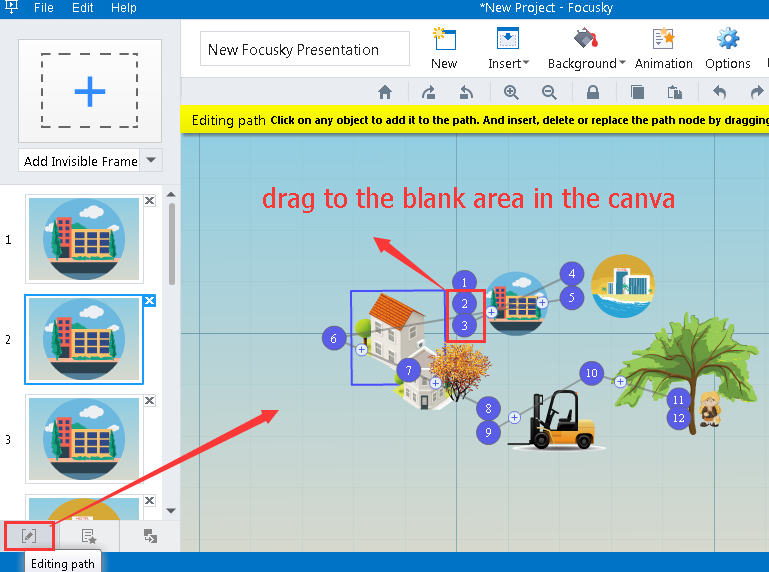 To begin with, find the "Editing path" icon at the bottom left of the path list and click it, then you can view the whole path settings of your presentation. 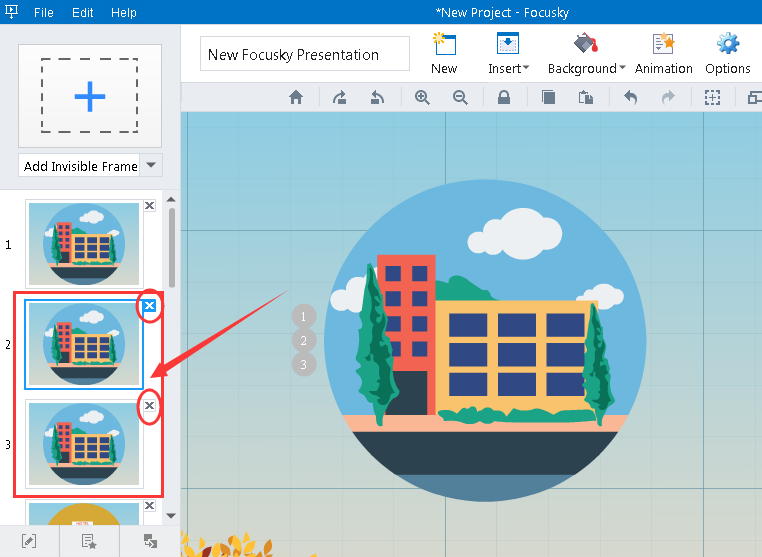 Next, select the repeated path like "2" and "3" icon in the below screenshots, drag them to the blank area in the canva to delete. Finally, save and preview your editing.